A softer and feminine voluminous lob is styled with loose waves and brightly highlighted face-framing strands. 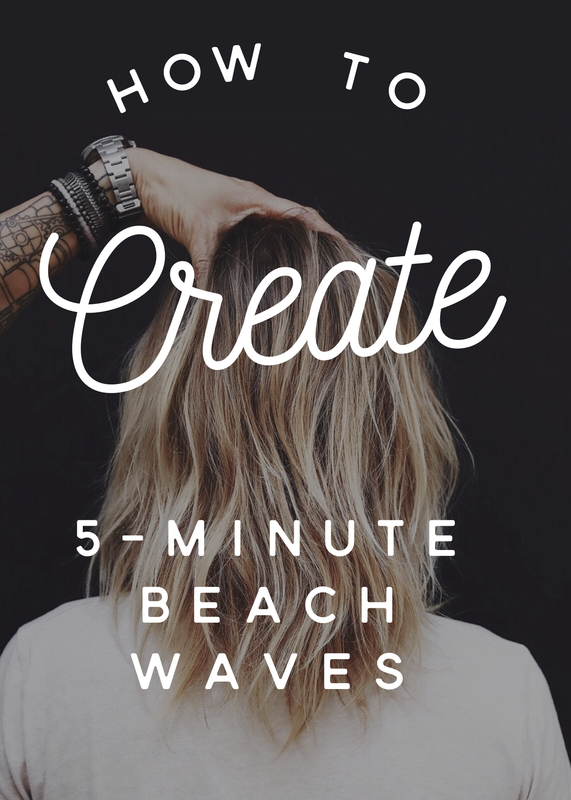 Texture and volume give this look a California beach vibe with a modern refresh. 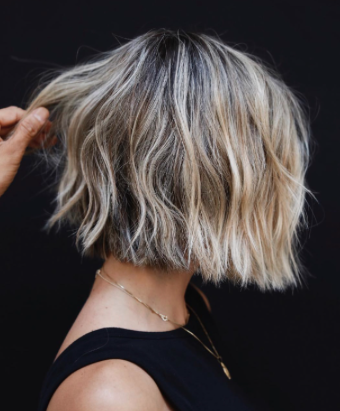 Glamorous and timeless, this look is styled with loose, lived-in waves that attract attention to the face and compliment the bright-golden blonde color. Front face-framing strands compliment a middle-parted style through texture and volume throughout. 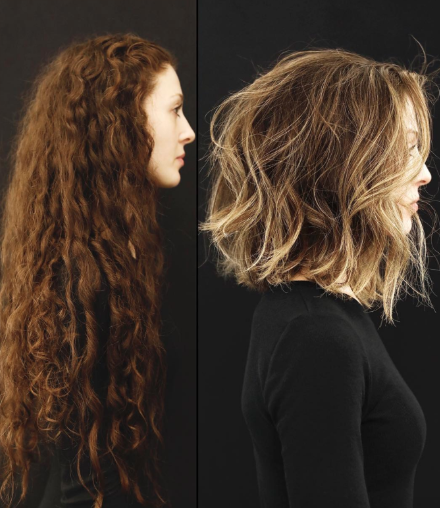 Naturally textured hair upgraded and refreshed with a shaggy, voluminous lob. Modern and natural, golden multidimensional color is styled with piece-y waves and mega texture! Total of three horizontal sections, first section is nape, second section up to the parietal ridge, third section is the top. For each section, take vertical sub sections and curl in alternating directions from each subsection. The more imperfect, the beachier/messier look. HALEY x SCHÖN: Using the Twisting technique to achieve this look. Twist the hair from the back and upward to the front, then pin and sculpt it into the face area.